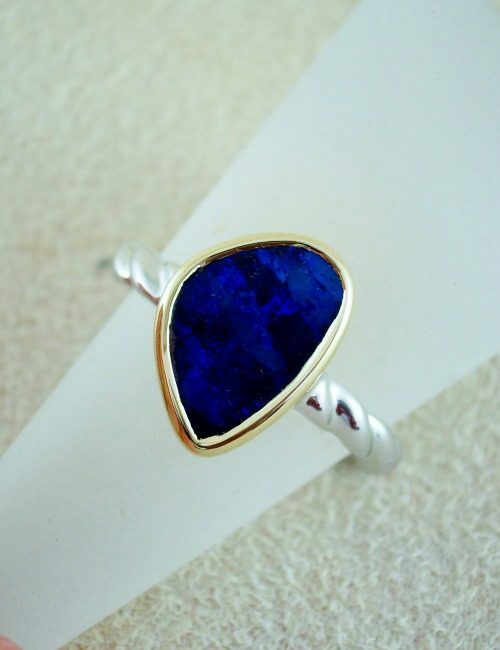 This solid Boulder Opal ring is set with a 9ct yellow gold surround to the opal and a sterling silver(anti tarnish) band in a twist design. The opal shimmers with bright turquoise colours and measures 8mm x 7mm. Opal weight…..1.06ct, gold weight….1.62grams, ring size 7.